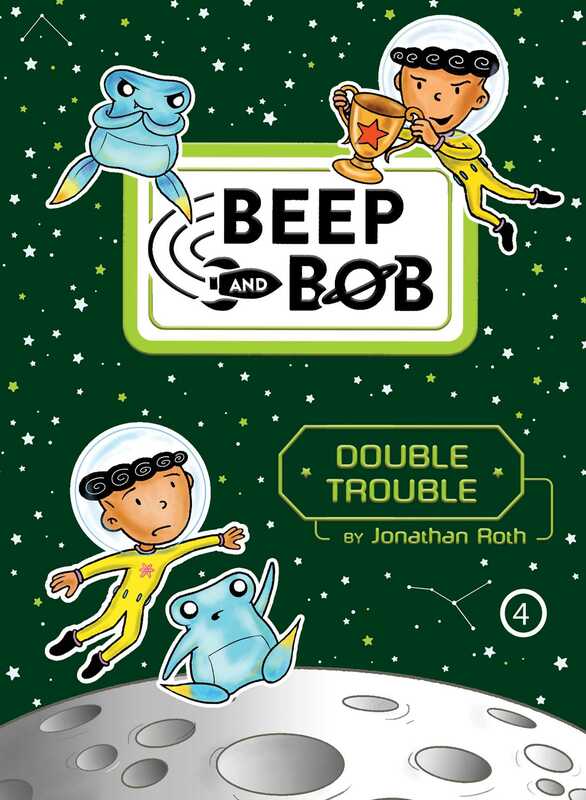 Beep and Bob accidentally clone themselves for the school science fair in this fourth book in the hilarious, action-packed Beep and Bob series! What’s twice as fun as Beep and Bob? Two Beeps and Bobs! While up too late working on his science fair project, Bob accidentally points a duplication ray at Beep. To his shock, another Beep appears! Beep decides the more, the better, so he points the ray at Bob and PRESTO: it’s Bob 2 (or Backwards Bob). At first Bob thinks their clones are creepy, but it doesn’t take long to realize that having duplicates comes with perks: they can sleep in while their clones go to class! Then the real Beep and Bob discover a hitch: the Beep and Bob clones are EVIL, and are planning to duplicate an EVIL Earth to rule! How will they possibly get themselves (and themselves!) out of this one? SPLOG ENTRY #1: Hard Work Is Hard! GETTING GOOD GRADES HERE IS NEARLY IMPOSSIBLE! I mean, back on Earth at my old school, I got a trophy for learning how to Velcro my shoe. But if you dare ask the teachers here for a little help putting on your space helmet the right way so your head doesn’t explode, they deduct six points from your grade average and make you sharpen pencils for a week! Beep just clapped and said, “Head go pop, yay!” Beep is a young alien who got separated from his 600 siblings when they were playing hide-and-seek in some asteroid field. Then he floated around space for a while, until he ended up here. Sad, huh? On the bright side Beep not only likes sharpening pencils but also most of the other mind-numbing tasks I give him. Which frees up my time to do more important things like . . . like . . . like . . .
“Bob-mother like sleep late!” Beep said. Anyway, I promise to try to write more entries soon, maybe between my after-school nap and my predinner rest time.